Hot off the press! 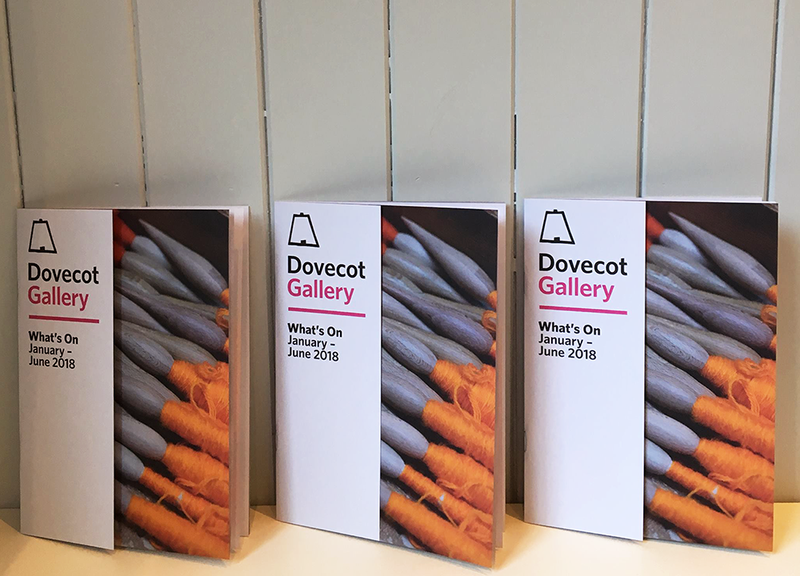 The sixth edition of the Dovecot Gallery What's On Guide. The guide is twelve pages plus cover, which is cut away on the front to reveal half of a full bleed image of a detail of a new tapestry by Garry Fabian Miller being woven at Dovecot Studios. A mixture of full-bleed and smaller images are used throughout the guide, in contrast with pages of pared back typography printed on the clean white of Vision Superior, an uncoated paper that has a pleasant touch. The format and template remain the same as the previous editions but is always evolving to accommodate new types of information as needed.